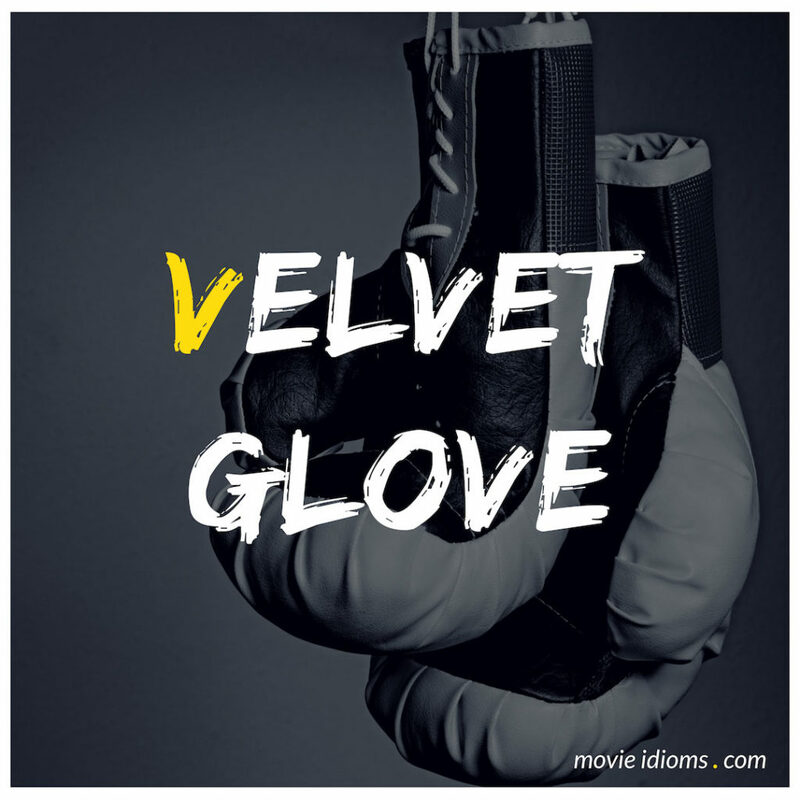 What does velvet glove mean? Robert Tooley: Lisa. Do you mind if I call you Lisa? You must have quite a head on your shoulders. Peter tells me that you read history at Cambridge. Lisa Hopkins: Yes I did. Robert Tooley: Mind if I ask what do you think of our little problem over at the factory? Do you think maybe he’s a bit too much velvet glove glove, not enough iron fist? Lisa Hopkins: Not at all, no. Quite the opposite, actually. Look at Vauxhall. They don’t have any problems with the unions. And that seems to be because General Motors have a more collaborative approach to management. Whereas at Ford you only deal with the unions because you have to. You tolerate them. And as a result they’re more entrenched and they’re aggressive in their dealings with you. Abby Sciuto: Jimmy, you chased a crazy guy with a gun. You’re a stud muffin. You’re an iron fist in a velvet glove. You’re Baby Gibbs.